Since our Chicago Summit in July 2017 and our clarion call to drive the impact investment sector to Tipping Point by 2020, we have been working full steam ahead, along with our partners and the broader global community, to achieve this vision. I am next looking forward to updating you in person about our progress to achieve Tipping Point 2020 at our next Impact Summit, to be held in New Delhi on 8-9 October 2018. There, we will welcome The Honorable Al Gore, Former US Vice President and Nobel Laureate, along with 900+ impact leaders like yourselves from more than 50 countries, to celebrate our collective progress and define urgent actions. This last quarter, our progress was especially visible as our teams engaged in critical projects throughout the world. Working alongside the G20 Development Working Group in Buenos Aires, the GSG helped create a partnership to unlock private capital for public good. In Buenos Aires, we hosted a first consultation for the creation of a $1 billion LatAm Impact Fund of Funds. In India, we hosted the second stakeholder consultations and launched Social Finance India which will hosttwo $1 billion funds – the India Impact Fund of Funds and the India Education Outcome Fund. In May, I felt the unmistakable momentum of our movement when our NAB leaders, Working Group leaders and Partners met in London for our mid-year GSG Leadership Meeting. 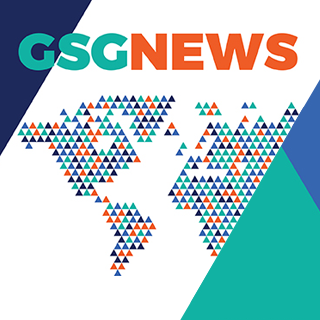 During this meeting, we elected new members to our Board of Trustees – Rosemary Addis, Uli Grabernwarter, Giovanna Melandri, Brigitte Mohn, Masataka Uo, and Darren Walker will now join Nick O’Donohoe, Nicola Cobbold, and myself on the Board of the GSG. Please join me in congratulating this wonderful set of leaders. Finally, I am delighted to share a powerful video and accompanying article just released by a collaboration of Forbes and Sorenson Impact. The story encapsulates the urgency and importance of the Impact Revolution taking place before us, and features my personal story as a catalyst for this movement afoot. Friends, we have a winning movement on our hands. I hope to see you in New Delhi to discuss it in person. I also urge you to help us recognize the leaders of the movement through GSG Honors and the future of the movement through GSG Millennial Honors. Please nominate those who make us all proud. And this October, let all roads lead to New Delhi!